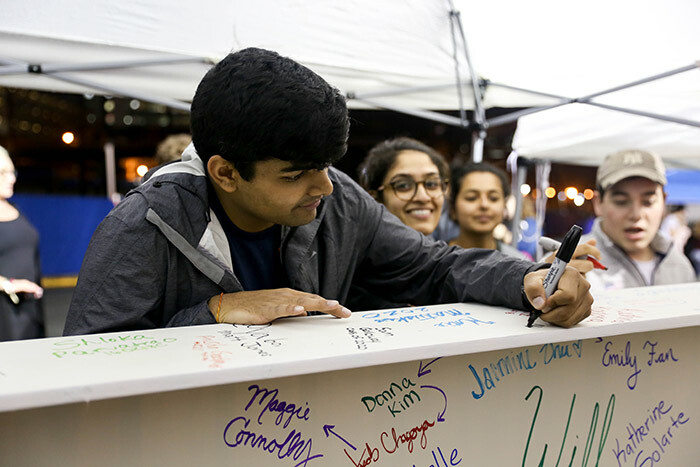 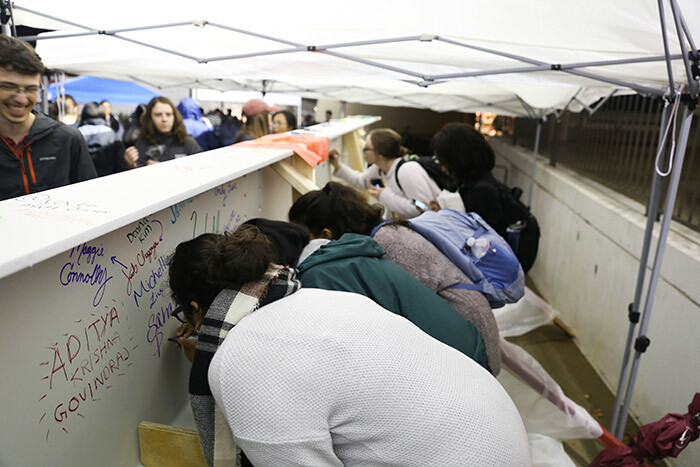 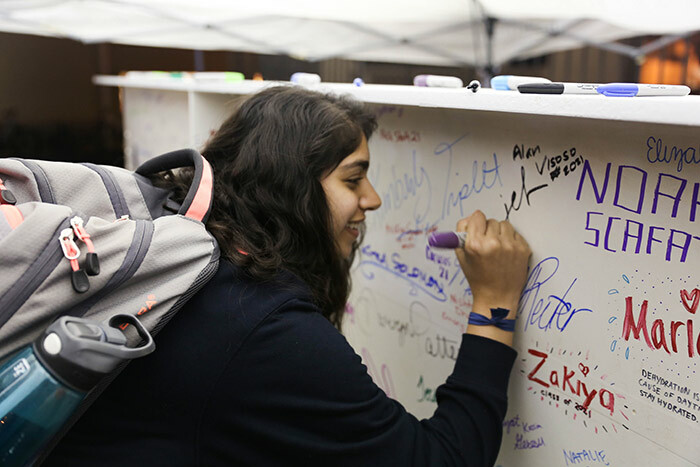 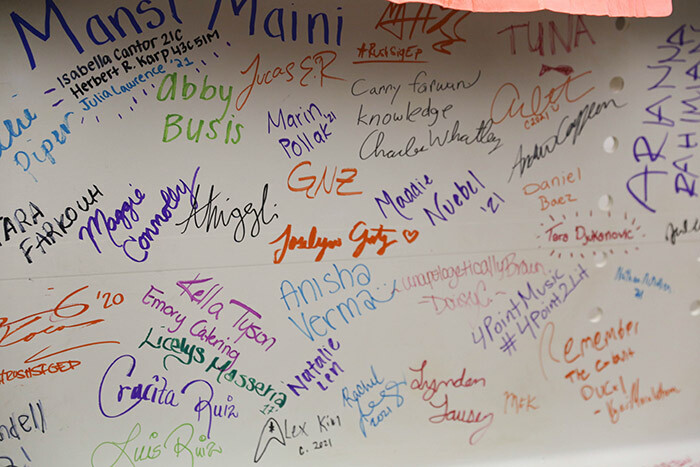 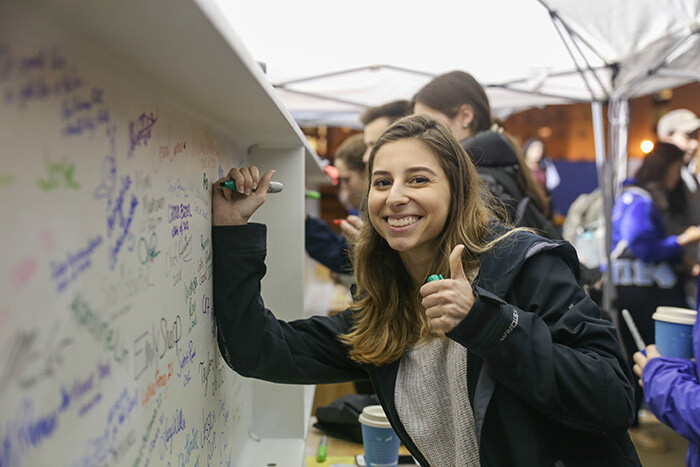 As construction continues on Emory’s new Campus Life Center, students had the opportunity Dec. 5 to have their messages and signatures become a permanent part of the new campus landmark. 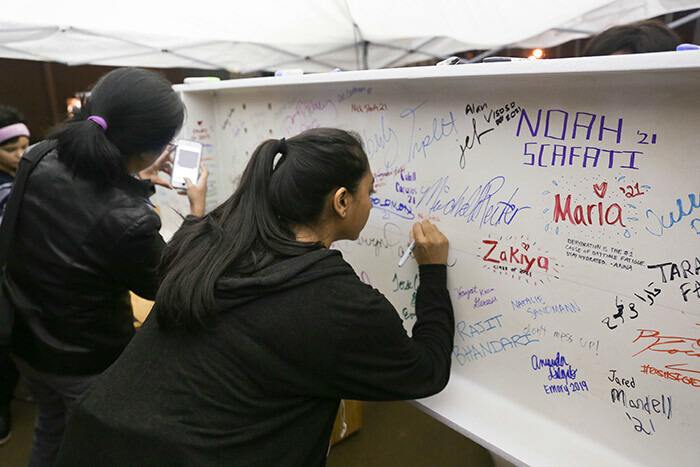 Students stopped by McDonough Field from 10 p.m. to midnight on Tuesday to sign steel beams that will become part of the Campus Life Center (CLC) structure. 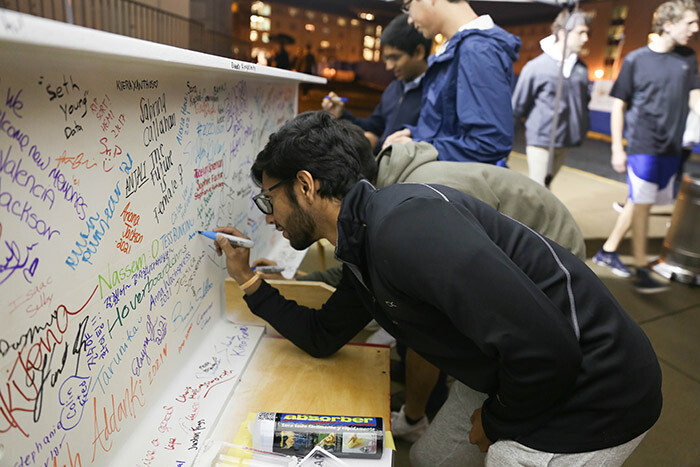 The signing event, which also included s’mores, coincided with the Twilight Breakfast at the adjacent DUC-ling, one of several study breaks on campus this week. 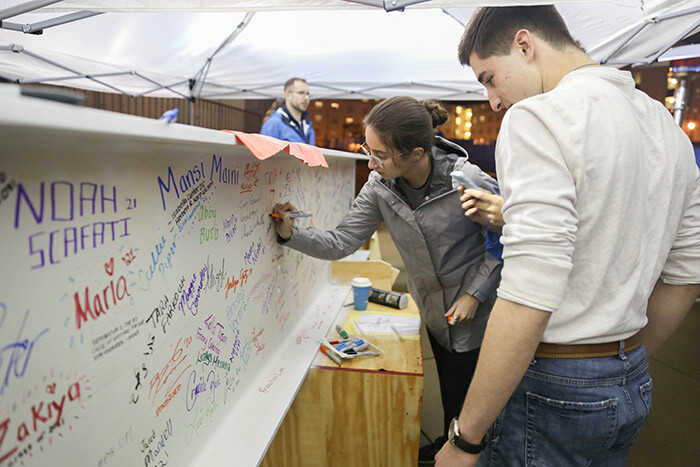 The CLC is slated to open in May 2019. 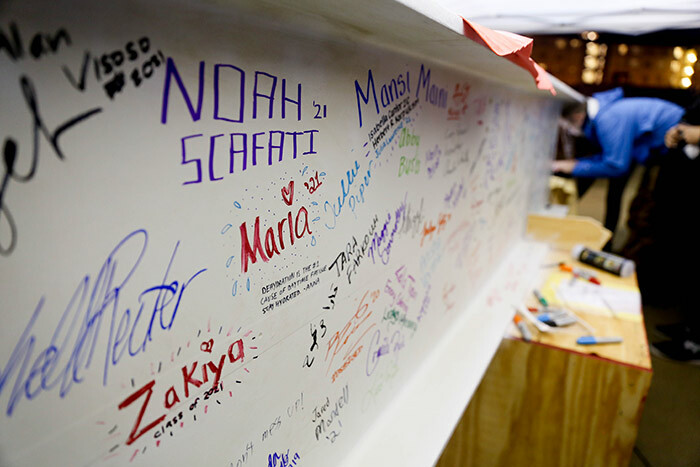 The three-story building will be approximately 114,700 square feet and feature a new campus restaurant that will seat about 800; a nearly 1,600-seat multipurpose room; student lounges and recreational spaces; and much more.